Shield and strengthen strands with Alterna Caviar Anti-Aging Restructuring Bond Repair Leave-In Heat Protection Spray; a lightweight formula developed for damaged hair. 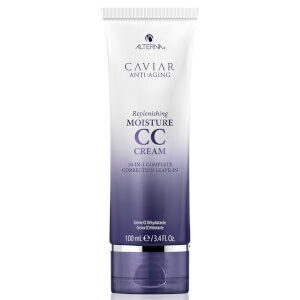 Synergizing Caviar Extract (a naturally concentrated source of Omega 3 fatty acids) with innovative Caviar Bond Enforcing Technology and a proprietary Age-Control Complex to nourish and repair hair, whilst providing thermal protection to defend against heat styling up to 450°F. Hair looks healthy, strong and youthful from root to tip. Press down firmly to spray. Spray evenly on clean, towel-dried hair. Comb through evenly to distribute and style as desired.